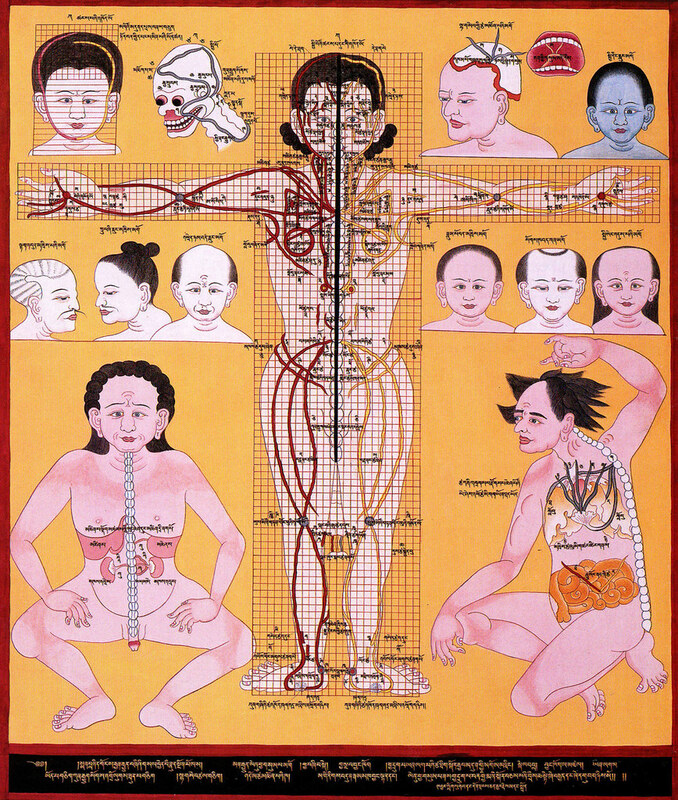 Bodymaps, spinal awareness and interoception. So far I’ve outlined the concept of “bodymaps” or “homonculi”, topographical representations of the body in the brain. How they are dynamic and constantly being updated according to our experience and the demands placed on them by our daily activities. How our abilities to sense and feel our bodies develop (or fail to develop) in the same way as our motor patterns and all other cognitive skills – “use it or lose it” is the name of the game. I’ve briefly discussed “sensorimotor amnesia” and how various traditions and methods of physical culture can be understood as ways of recovering and improving our sense of our own bodies. Anyone who explores eastern traditions like Yoga, Buddhism and Daoism in any depth – enough to go beyond the early infatuation with magical powers and instant enlightenment – will discover that these traditions are all based primarily on a careful and systematic observation of nature, starting with one’s own body, undertaken by each individual over many thousands of minutes and hours. Attainment of “total knowledge of mind and body” is a commonly stated goal. Relief from suffering, clarity and peace of mind, ease of body, improved sensitivity and intuition, and boundless compassion for all things are generally considered to be the fruits of the practice. So far I’ve mostly talked about various methods of “waking up” the outsides of the body: the skin, muscles and joints of the limbs, trunk, face, etc. Now let’s take things slightly deeper and talk a bit more about exploring the spine and the body’s central axis. Pictures like the one above are relatively common in certain traditions of Daoist “internal alchemy”, often related to a practice known as the “small heavenly cycle” or “microcosmic orbit” (and it’s extension the “big heavenly cycle” or “macrocosmic orbit”). Obviously the anatomy is far from exact, but the point to remember is that they are pictorial representations of subjective experiences. But what are the practices represented by these pictures? A common explanation goes something like “circulating energy through meridians, which opens these meridians and strengthens the flow of energy” which then improves health and longevity, develops spiritual and psychic powers and eventually immortality. Let’s look closer at what a practitioner of such methods is actually doing. – A still, seated or standing, meditation practice in which the attention is focused on different segments of the spine individually, on corresponding areas on the front of the body, and on whatever can be felt taking place internally between these two points. Often, this stage will involve a breathing practice in which specific muscular contractions change the pressure and blood flow in different parts of the torso, helping awareness to penetrate into areas which might otherwise be hidden. – A practice of “cycling” the awareness/attention along the spine and the front of the body, often combined in various ways with specific methods of inhalation and exhalation. Now I’m NOT advocating following and practicing the methods described by Mantak Chia in his many books. The video is just an example of the kind of stuff people do, and the kinds of words they use to describe it. The problem with the traditional explanations is that all too often – unless the person explaining is very good, experienced in the practice and capable of translating to a modern audience – they fall apart when you question them: what evidence is there that surplus “spirit energy” is stored behind the knee? What is “spirit energy” in the first place? The answer can basically be whatever the person feels like saying, or whatever they believe, and the evidence is limited to “because I say so”, “because I believe so” or “because some ancient people said so”. I am actually completely fascinated by that last one. I am certainly not of the opinion that the beliefs of ancient people or other cultures should be dismissed and forgotten. I am also not going to start taking the usual “skeptics” argument of “qi doesn’t exist, all of this stuff is superstitious nonsense and there is no point bothering to examine it at all”. What I am going to do is take a look at some of the effects of such practices which are entirely supported by current science. Firstly: all of the above are practices of cultivating awareness and focused attention. The movement practices like spinal undulations and so on all help to direct the attention into and thus improve awareness of the parts being moved. Secondly: the focused attention practices performed in the seated or standing postures, without external movement, will improve awareness of more subtle changes taking place in the parts of the body being focused on, according to the Weber-Fechner principle. It is easier to feel more by moving the areas because larger changes are taking place, while the body is still these areas can still be felt but the changes taking place there are generally of a much smaller magnitude. Remember, the nervous system’s job is to sense and respond to change so we can see straight away that such practices of cultivating awareness and attention (i.e. of noticing what is happening) are forms of training for the brain and nervous system. Thirdly: combining awareness of the spine and corresponding areas on the front of the body with awareness of breathing will tend to draw the awareness inside the body, developing a greater sensitivity to of the workings of the autonomic nervous system (ANS), the parts of the nervous system responsible for regulating unconscious functions like heart rate, blood pressure, and breathing. As we can see from the diagram, the ANS is responsible for regulating the activities of the different internal organs present at different levels of the spinal column. Its effects can be seen (and felt) in the eyes, facial muscles, salivary glands, the heart and lungs, blood vessels throughout the body, the digestive and excretory organs. The ANS has two basic settings with only two possible effects: it can either increase or decrease the activity in the organs over which it has influence. – Improve attention and awareness of the spine so as to gradually develop a complete “map” of the spine and related areas in the somatosensory and motor areas of the cerebral cortex, “filling in” areas which would otherwise be forgotten or vague and unfamiliar. Using methods like this it is entirely possible to develop complete and distinct awareness and control of the position and motion of each and every spinal vertebra. – Improve spinal mobility through every segment, where otherwise there would be areas which are stiff and fixed, forcing potentially excessive movement into other more mobile segments. Seven cervical vertebrae, twelve thoracic, five lumbar, five vertebrae fused into the sacrum and three fused into the coccyx. Each segment capable of differing degrees of flexion, extension, lateral flexion and rotation. – Gradually direct attention and awareness inside the body, improving awareness of changes in internal blood flow and other autonomic processes at different levels of the spine and their relationships with the mind, the emotions, and the breath. Awareness of the internal processes is known as “interoception”, and involves another separate part of the brain buried deep beneath the somatosensory and motor areas known as the “insula”, where there are maps of the internal organs and which recent research suggests is one of the primary areas responsible for self-awareness, emotions, and empathy. This is where things start to get really interesting, and where a lot of these practices from the Daoist, Yogic, Buddhist and Tantric traditions really start to make sense. 8 Responses to Bodymaps, spinal awareness and interoception. The qigong that I learned years ago and still practice sporadically taught us to differentiate between “awareness” and “attention”. We also learned to develop different _kinds_ of attention/awareness/intention, namely specific (a particular point), local (the space immediately around us), global (everything). I wish I’d realized we were actually being trained in interoception..
Hey John! Indeed. Most qigong/pranayama/meditation practices can be made sense of with this framework. My next post will be more specifically about interoception (unless I get sidetracked again, it often seems to take a few posts to get to the beginning of what I really want to talk about), which is where things start to really get interesting. Absolutely agree with all your points. To understand all the ancient teaching with a modern /scientific view is the way to go help more people/normal people, not only those dedicated to spirituality. Thanks Jane, glad I’m not the only one. I must say that I really enjoy your blog, thanks. Also your insightful posts at rsf. Is the next bodymap / breath post in the pipe? You’re thinking about Martin xylh i presume?! I’m Martin from Denmark , Eddie Mush at rsf.